In this article, former Army LtCol Allen West discusses the justice delivered to Army deserter Bowe Bergdahl vs the justice meted out to Marine Corps Drill Instructor Gunnery Sergeant Joseph Felix. There is a huge disparity here that needs to be examined. Mr. West does a fair-minded look at the military court system and possible how Bergdahl got the lighter sentence. What I enjoy best about our website, allenbwest.com, is that it enables me to share thoughts, perspectives, and insights with you. I see it as a worthy platform in order to engage y’all and bypass the noise out there. It’s my hope that you become more aware, informed, and illuminated. And that’s why I try to look for trends, indicators and warnings to piece together the puzzle for you…equipping you for the debate. And y’all know Thanksgiving is upcoming and there will be some debates going on…and not just about college football. I don’t want any of you to be afraid to engage and intellectually challenge family members of the progressive socialist mindset…and do so lovingly in between helpings of fried turkey or sweet potato pie. And so this Monday I want to bring a story and present a comparative analysis for you that I believe you’ll find interesting. Now, I know very well that our dear misguided liberal progressive friends out there won’t be able to comprehend any of this. Instead, they’ll interpret this story and my analysis as they wish, in order to pervert the message being conveyed. As reported at the Washington Post Checkpoint blog, “A military jury sentenced a former Marine drill instructor to 10 years in prison and a dishonorable discharge from the service Friday for subjecting Muslim recruits to verbal and physical abuse, including one young man who committed suicide after an especially troubling encounter. The eight-member jury issued its sentence a day after it found Gunnery Sgt. 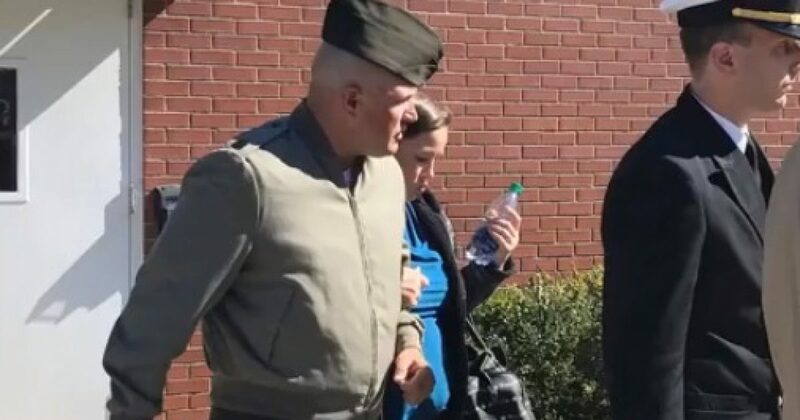 Joseph Felix guilty of maltreatment for terrorizing three Muslim men at the Marines’ storied boot camp in Parris Island, S.C. Felix also will have his rank reduced to private. Prosecutors had asked for a seven-year prison term. Felix faced a maximum possible sentence of more than 21 years. It’s not immediately clear why the jury elected to exceed what the prosecution had requested. First of all, no one should be able to mistreat our military recruits, especially in a physical manner. However, there are many of our readers who certainly can remember “back in the day” when drill sergeants would wear you out a new one. As far as verbal abuse? Well, being yelled at — and I admit to not knowing the specifics — should hardly be considered criminal………. THERE IS WAY MORE HERE KEEP READING!